(Nanowerk News) With 14 percent of Zimbabwe's population living with HIV/AIDS and tuberculosis as a co-infection, the need for new drugs and new formulations of available treatments is crucial. To address these issues, two of the University at Buffalo's leading research centers, the Institute for Lasers, Photonics and Biophotonics (ILPB), and the New York State Center of Excellence in Bioinformatics and Life Sciences have signed on to launch the Zimbabwe International Nanotechnology Center (ZINC) -- a national nanotechnology research program -- with the University of Zimbabwe (UZ) and the Chinhoyi University of Technology (CUT). This collaborative program will initially focus on research in nanomedicine and biosensors at UZ and energy at CUT. ZINC has grown out of the NIH Fogarty International Center, AIDS International Training and Research Program (AITRP) that was awarded to UB and UZ in 2008 to conduct HIV research training and build research capacity in Zimbabwe and neighboring countries in southern Africa. 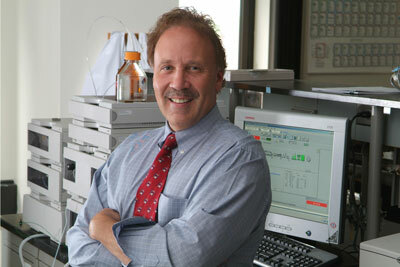 Gene D. Morse, PharmD, professor of pharmacy practice. UB faculty and research directors in the ZINC partnership include Paras N. Prasad, PhD, SUNY Distinguished Professor of Chemistry, Physics, Medicine and Electrical Engineering, the Samuel P. Capen Chair, executive director of ILPB; Gene D. Morse, PharmD, Professor of Pharmacy Practice, associate director of the New York State Center of Excellence in Bioinformatics and Life Sciences and director of the Translational Pharmacy Research Core; Alexander N. Cartwright, PhD, UB vice president for research and economic development and interim executive director of the New York State Center of Excellence in Bioinformatics and Life Sciences , who will work with Professor Levi Nyagura, UZ vice chancellor; Professor David T. Simbi, CUT vice chancellor, and Dr. Charles Maponga, PharmD, UZ pharmacy school director. ZINC will establish a long-term international research and training platform in the field of nanotechnology, focused in areas that promote Zimbabwe's strength, and advance the development of nanotechnology as an avenue for Zimbabwe's commercial growth. The UB ILPB and TPRC collaboration recognized that the fields of pharmacology and therapeutics have increasingly developed links with emerging areas within the field of nanosciences in an attempt to develop tissue/organ targeted strategies that will lead to disease treatment and eradication. Research teams will focus on emerging technologies, initially focused in nanobiotechnology and nanomedicine for health care. "Developing nanoformulations for HIV and tuberculosis diagnostics and therapeutics, as well as new tuberculosis drug development, are just a few of the innovative strategies to address these co-infections that this research collaboration can provide," said Morse. "In addition, the development of new nanotechnology-related products will jumpstart the economy and foster new economic initiatives in Zimbabwe that will yield additional private-public partnerships." Morse says that the current plans for a "Center of Excellence" in clinical and translational pharmacology in Harare at UZ will create a central hub in Africa, not just for Zimbabwe but for other countries to gain new training and capacity building in many exciting aspects of nanotechnology as well. Morse adds that this initiative creates an opportunity for additional involvement from a number of UB centers such as those represented by UB's Strategic Strengths in areas such as Health and Wellness across the Lifespan, Integrated Nanostructured Systems, Molecular Recognition in Biological Systems and Bioinformatics and Information and Computing Technology. "With an international program like ZINC, we are hoping to attract pharmaceutical companies and biotechnology firms who will have similar interests in joining this unique partnership that will enhance the likelihood of economic success through efficient, innovative research." "Locally, these efforts will be linked to the growing Buffalo Niagara Medical Campus resulting in a truly global partnership with one anchor in Buffalo -- a comprehensive 'UB matrix' of innovation and excellence," says Morse.